Follow the leftward curve of 55th street; it turns into Remington Road. The Aztec Aquaplex will be on your left. Lot 10 will be on your left. 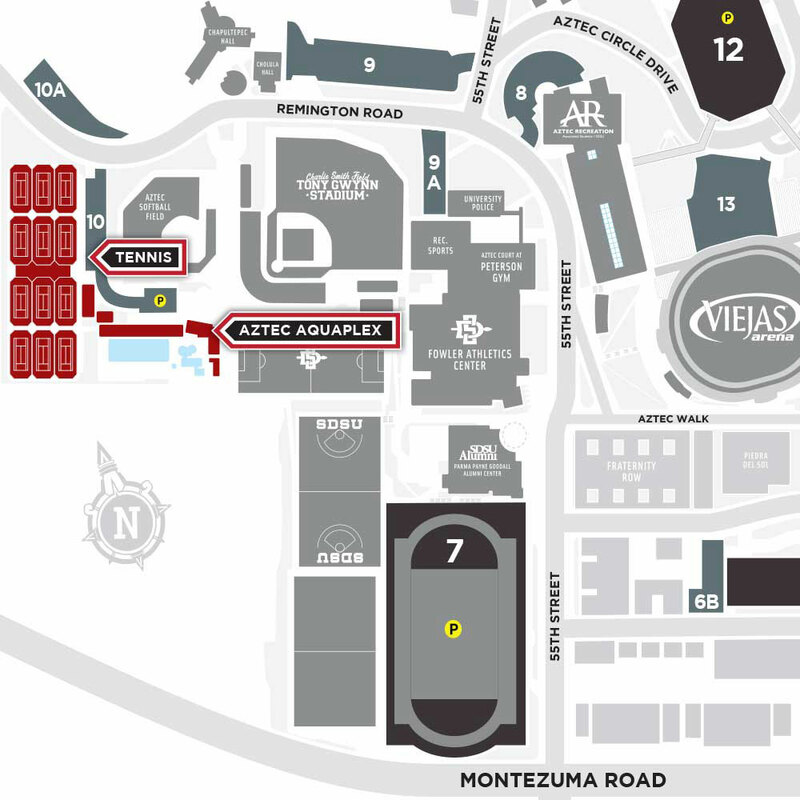 The Aztec Aquaplex is located at the south end of the Lot 10. After exiting the structure, walk North on 55th Street. Walk northwest across athletic fields to the Aquaplex. Aztec Aquaplex will be straight ahead.